Le Reve is inspired by the famous artwork of Pablo Picasso which bears the same name. The magnificent aquatic pool that acts as the show’s stage! It's beautiful! 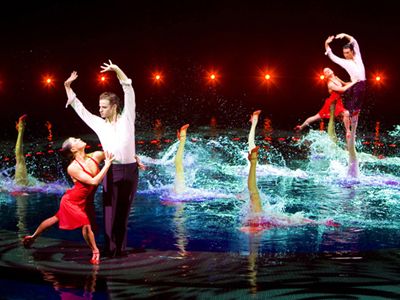 Save up to $25 on premium seating for this fantastic water show at Wynn and Encore Las Vegas. 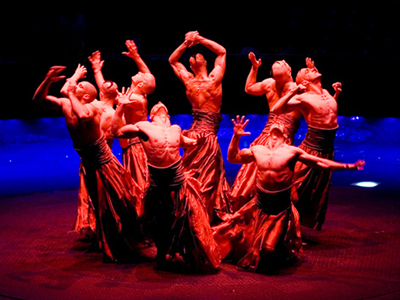 Get up to $15 off your seats to see Le Reve at the Wynn Las Vegas. Rates for the show start at just $111 before fees and taxes. When Steve Wynn opened the Wynn Las Vegas in 2005, he knew that he would have to come up with a show that was as lavish and well-produced as the other offerings of his competition on the Las Vegas strip. Le Reve is inspired by the famous artwork of Pablo Picasso which bears the same name and is an artwork that also happens to be a prized possession of Wynn. The show has been revamped for its 10 year anniversary by Maksim Chmerkovskiy, who has choreographed a new scene. The key element to Le Reve is the magnificent aquatic pool that acts as the show’s stage. The 1608-seat theatre circumferences this amazing feature that spans 68-feet in diameter and is 27-feet deep. Many of the most fantastic elements of this amazing set happen below the water’s surface. There are elevators and platforms that raise and lower during specific pieces of action and actors appear from and vanish below the surface miraculously during the show. 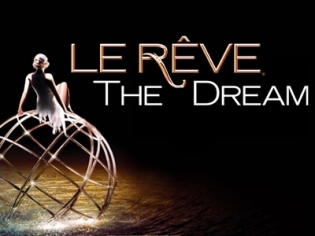 Le Reve features a very loose plot line that brings audiences away from reality and engulfs their senses in an altered world. As the title suggests, it really does feel like a dream and the visual effects are some of the best of any show that Las Vegas has to offer. With such high production values and amazing performers, Le Reve definitely provides the catalyst for more than a few moments of awe. I was told that O was much better than Le Reve and I concur. The show was fascinating and there was so much going on. The water act was really cool too. I’d see it again. My parents,me and my sister went to see the show by recommendation of the hotel’s concierge. When we arrived to the theater we were surprised by it’s beauty. The show by itself is Amazing, dynamic and full of surprises.We are crazy to go again. Fun, artistic and wonderful acrobatics. The water adds a fantastic dimension. I saw this show this January 2014 and it was incredible. There is not a bad seat in the house and they perform 360 degrees the whole show. Great diverse cast as well. So many things going on and such awe at the acrobats! Definitely a must see. Sit middle to appreciate the whole show as there are stunts high up. This was my favorite show. I saw it on my first trip to Vegas many years ago. I saw most every cirque show in Vegas and I’d still vote for this one. I want to see it again on my next trip there in December. Not much of a different take on Cirque du Soleil. I was really hoping for more than what they did! The show was entertaining by far, however it was A lot more dancing than I originally expected. There was synchronized swimming, and a couple different performances. 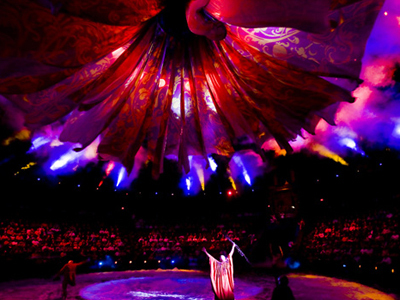 This is just another Cirque du Soleil – just with water. I have seen this show 4 times now and it still amazes me. Visually stimulating, never full due to the comic relief infused into the act breaks, and leaves you wanting more when it’s finished. Very kid friendly, and awesome for a nice date with a special mate. A bit pricey, but worth every penny. We wanted to see the O at Bellagio but so many people told us about Le Reve. We found discounted tickets but still expensive for our budget. After much thinking we decided to see it and left in awe!! Everything was amazing and we recommend it 100%! Try to get middle to upper seats, I think the higher you seat the better the view. Mind blowing show!! Awesome. Loved it and highly recommend this one. Wow! What a great show. We were able to take the kids and all 4 of us really enjoyed it. Lots of action to keep everyones attention. There was fire, water stunts, acrobats, and the smells. I couldnt believe how cool it was to use my sense of smell for a show. Bravo production!